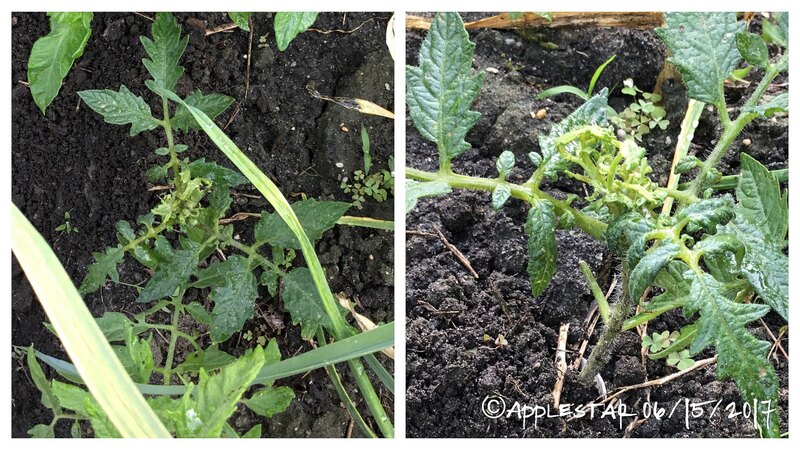 These tomato plants don't look right - oh no! Noticing some weirdness going on. 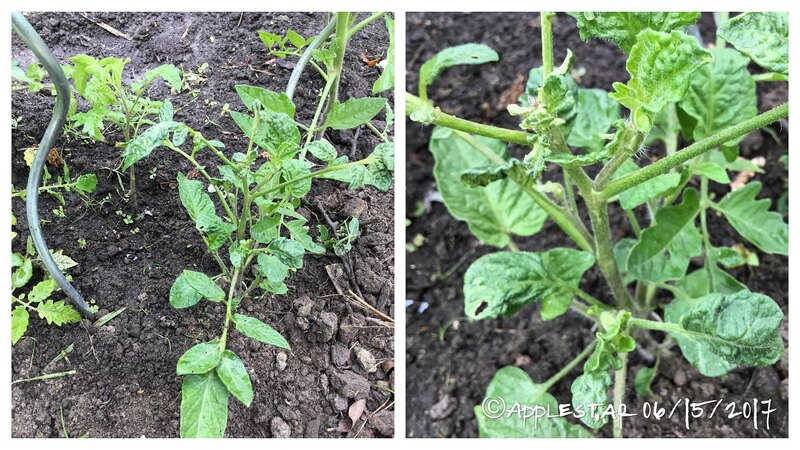 I am not familiar with appearance of viral and bacterial diseases in my garden so please help me out. I suppose they could also be symptoms of some kind of infestation. These are growing among other normal-looking ones so really not much chance of herbicide, etc. and I haven't sprayed them with anything. 1st one --Amana Orange. one of three -- is this Tomato Yellow Leaf Curl Virus? Intensely dark green unaffected leaves -- greener than other plants except the new odd growths. 2nd one -- Raymondo's Australian Mist ... my own saved seeds...only PL... others were RL and one of them looks rugose dwarf so assuming bee-crossed or mixed up seeds -- is this Bunchy Top Virus? 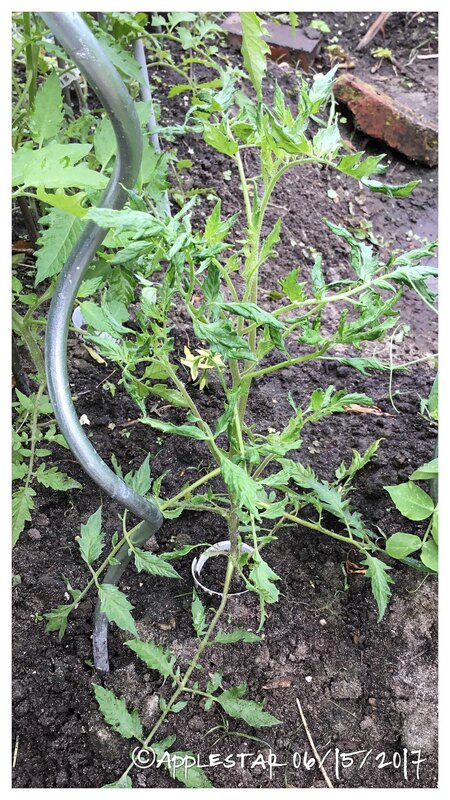 Re: These tomato plants don't look right - oh no! 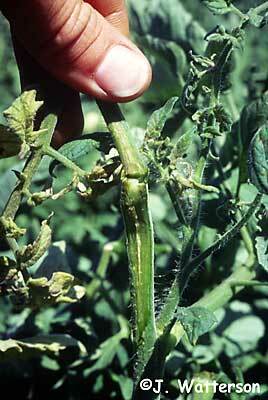 Tobacco mosaic virus or cucumber mosaic possibly? I have some alfalfa and red clover growing as cover crop and general N-fixer. So maybe? I'll go out and compare against the plants again, and also try the suggested test. Looks like you posted pics of my entire garden. lol. I have one that has not grown at all (Matts Wild Cherry), its still about 8" tall, looks dried out like its dead but its not, I had a rogue MWC sprout next to it that I left, only reason being is, I do not have any more MWC seeds and need it for the seeds. It's a jumble of viruses out there.! They seem to run in a circle of problems that fade for years and then rear their heads for a while lest we forget them, before they disappear again. Fifty years ago we went through a phase where all our tom plants had to innoculated against tobacco mosaic. Then breeding seemed to get on top of it. There's always something. Thank goodness! About a month ago I had 1 tomato plant with weird looking curly top virus with strange color leaves. Someone suggested curly top virus. I noticed the under side of the leaves were covered with 1000s of tiny small bugs. Online called it leaf hopper virus. I decided no matter what it is it must go so I put 2 tablespoons of cayenne pepper in 1/2 gallon of boiling water let it cool then sprayed the water on the under side of the leaves. The plant next to it soon had the same problem I sprayed it too. I pulled up the first plant and cut 90% of the 2nd plant off. Virus is gone. Thanks Gary350 -- that sounds very close to what I'm finding out, too. I'm going to deal with those two severely affected plants in the morning. And hope for the best with the others. So, the 2nd one started growing side shoots that looked normal, so I went ahead and cut off the weird growth. With the stunted abnormal portion gone, the plant was able to concentrate on growing the side shoots, and the normal-looking potato-leaf foliage seem fine so far. If you click and zoom in, you can see the stump where I cut off the top growth. 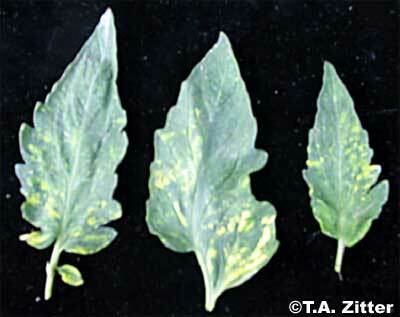 I had tomato yellow leaf curl virus on one of my two tomatoes a few months ago. I ended up pulling both of them out. I did have white flies on the beans so I treated them and I cut back the hibiscus which is their favorite host. The second tomato did not show problme but I opted to pull them out in the presence of the white flies. 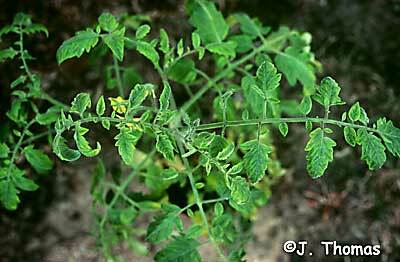 Tomato yellow leaf curl can be transmitted by seed. I first had the problem from momotaro seeds. In fact every momotaro had the disease while the other tomatoes remained healthy. I treated the beans and cut the hibiscus back. Now, there does not seem to be any white flies anymore and a tomato seedling on my nursery bench still looks good, so I may try to plant another one soon. The peas are done and the beans can probably be pulled to. 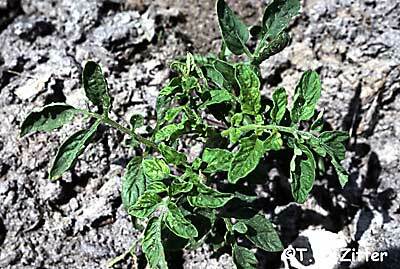 I don't think you have a tomato yellow leaf curl virus. I do think you may have had mites though. Especially since cutting them back produced healthy side shoots. It is usually what I do when the peppers and eggplant get mites. Either I cut them back or they are culled. That would make sense. Thanks, @imafan. I think i have yellow leaf curl virus. My leaves are curling and small. As i live in apt, my plants grow in pots. Do i just need to call it a loss and throw it out or do i just cut the portion which is showing disease? Applestar - you could send photos but if I were having those issues I would take samples in labeled envelopes to my Extension Office. Either Gerald or Stan would more than likely be able to give me an immediate identification. If not I would hear from them the next day. IDK about your Extension Office, In Lafayette the first solution offered is organic. I have had weird, creepy things happen in my garden or yard. If I know what the problem is, a phone call or an e-mail is all I need. If I can not identify the issue I do not hesitate to make a run to the Extension Office with samples. The problem with photos is that so many things look similar. Seeing the real deal makes a lot of difference in the ability to identify issues. 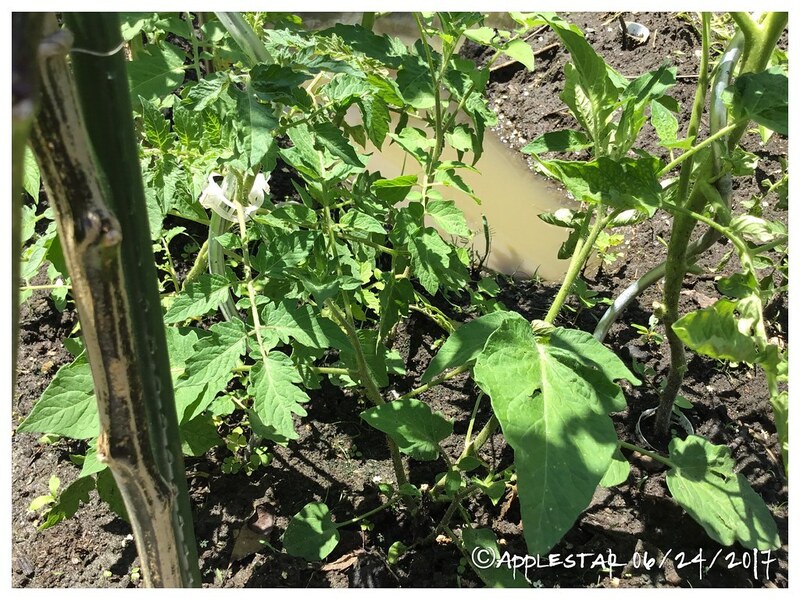 Wilting Tomato Plants! Best Disease Resistant Plants Are?? ?